CEOs are speaking out against the separation of children from their families at the US border. The top executives of Apple, Goldman Sachs and other powerful companies condemned the practice and called on the government to put an end to it. "Separating a child from a mother or father is not political. It is inhumane," Chobani CEO Hamdi Ulukaya said in a statement. He said children and parents should be "brought and kept together, regardless of which side of the border they are on." The co-founders of Airbnb, Brian Chesky, Joe Gebbia and Nathan Blecharczyk, said the government needs to "stop this injustice." The leaders of two influential business organizations, the Chamber of Commerce and the Business Roundtable, called for the Trump administration to end the policy immediately. Thomas Donahue, president and CEO of the Chamber of Commerce, said bluntly: "This is not who we are and it must end now." And Chuck Robbins, the CEO of Cisco Systems and head of the Roundtable's immigration committee, called the policy "cruel and contrary to American values." Apple CEO Tim Cook told the Irish Times that the practice is "inhumane" and "heartbreaking." Apple (AAPL) did not respond to CNNMoney's request for comment. The CEOs spoke as President Trump amplified his rhetoric on immigration, turning a speech about the economy into a tirade on the subject, and as an outcry grew among both parties in Congress. Some CEOs offered ways to help immigrants or announced they would donate money. Facebook (FB)CEO Mark Zuckerberg and chief operating officer Sheryl Sandberg donated to a fundraiser raising money for The Refugee and Immigrant Center for Education and Legal Services, a nonprofit that offers legal aid to immigrant families in Texas. "We need to stop this policy right now," Zuckerberg said in a statement. Sandberg said "the practice of family separation on our border needs to end now." 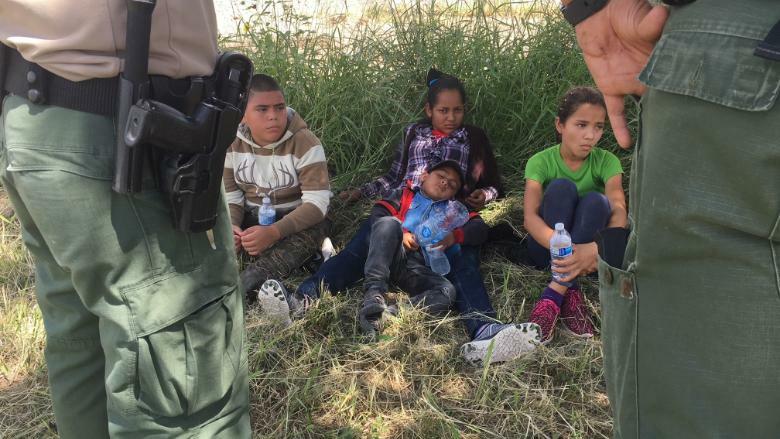 YouTube CEO Susan Wojcicki said in a tweet: "regardless of your politics, it's heartbreaking to see what's happening to families at the border," and she added a link to a story listing nonprofit organizations that help immigrant families. Lyft offered free rides to some organizations that help immigrant families. Twitter CEO Jack Dorsey tweeted: "Do everything it takes to #KeepFamilesTogether." In a memo to staff, Uber executives said they were "horrified by what is happening at the southern border." They told staff members that the company was looking for ways it could help families affected by the border policy. Uber's legal team is "reaching out to law firms with a strong commitment to pro bono work" to explore the possibility of partnering "with them to help parents and children affected by these policies in any way we can," the executives said in the memo. It's not the first time Corporate America has raised its voice to object to a Trump administration policy. CEOs left President Donald Trump's business advisory council in droves last year after the president said that both sides were to blame for violence at a rally of white supremacists in Charlottesville, Virginia. Corporate leaders also called him out for abandoning the Paris climate agreement. "It's unusual for "corporate leaders [to attack] a Republican president,"said historian Timothy Naftali, a CNN contributor. "The Trump administration's actions are raising moral questions for American leaders." Dalila Suyapa and her son Cesar (center) take a break after Border Patrol agents took them into custody. The Department of Homeland Security said on Friday that the government has separated at least 2,000 children from parents at the border after the Trump administration imposed a new "zero tolerance" policy. The administration is charging every adult caught crossing the border illegally with federal crimes, as opposed to referring those with children mainly to immigration courts, as previous administrations did. Images of distraught families and audio of weeping children captured by ProPublica have prompted a public outcry. A bipartisan group of more than 70 former US attorneys are calling on Attorney General Jeff Sessions to reverse the policy. On Twitter, Tesla (TSLA) CEO Elon Musk said, "I hope the kids are ok." After a user asked him to "make a more powerful statement," he said: "if there is some way for me to help these kids, I will do so." Goldman Sachs (GS) CEO Lloyd Blankfein touched on the crisis in a speech at the Economic Club of New York. In a broader discussion about global economic risks, he referenced the "horrible tragic situation" on the southern US border, which he called a "tragedy." JPMorgan Chase (JPM) CEO Jamie Dimon urged the Trump administration to end the policy of separating accompanied minors from their parents in a message sent to all US employees Tuesday. "Immigration has been a critical part of America's economic and cultural vitality," Dimon said, adding that his heart goes out to the affected families. Microsoft (MSFT) issued a statement on Monday after it was criticized for working with US Immigration and Customs Enforcement, the agency that is enforcing the policy. "We urge the administration to change its policy and Congress to pass legislation ensuring children are no longer separated from their families," Microsoft said. ICE uses Microsoft's cloud software Azul. -— CNN's Tal Kopan, Julia Horowitz and Cristina Alesci contributed to this report.